Learn concepts of Android Development, and build various Apps and Games in the Android environment. Earn a great living doing what you love! The Android Developer Course is designed to give you a detailed and practical understanding of Android Concepts, so you can build Apps and Games in the Android Environment. It most commonly comes installed on a variety of smartphones and tablets from a host of manufacturers offering users access to Google’s own services like Search, YouTube, Maps, Gmail and more. Android is designed primarily for touchscreen mobile devices such as smartphones and tablet computers, with specialized user interfaces for televisions (Android TV), cars (Android Auto), and wrist watches (Android Wear). Ability to design Android Apps. Introduction and Overview of Android. Android Development and Android SDK. Working with Text, Lists, and Tables. Anyone who wants to learn how to build applications using Android SDK. Anyone looking to work as a freelancer or begin his/her mobile app-development business. 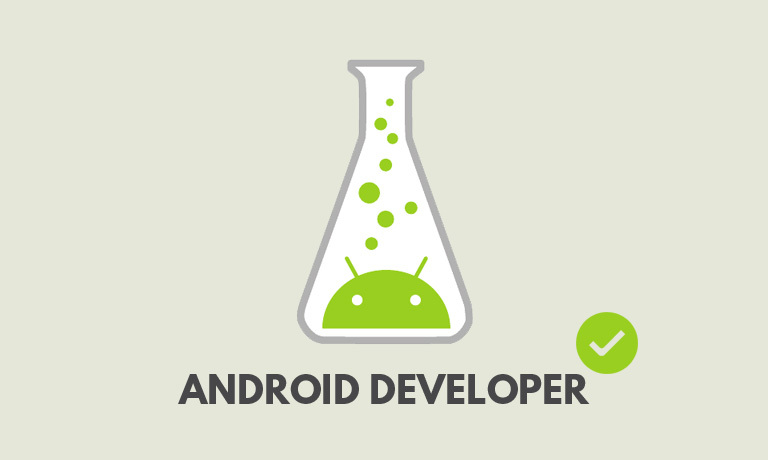 IT Professionals who would like to gain in-depth understanding of Android concepts. Recent graduates and/or Non-IT Professionals looking for a career into Information Technology (IT).